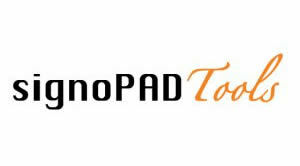 Biometric USB Signature capture pads secure document. 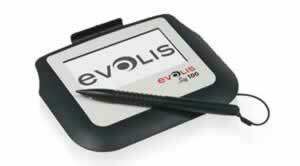 Evolis Biometric electronic signature pads. 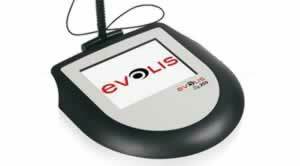 Evolis has launched a range of electronic USB Signature Pads. Utilising high quality signature capture technology that allows for a natural signature experience on a large surface. The signature is displayed in real time on the pad which is backlit to provide the maximum visibility in varied lighting conditions. A flat and robust design, no external power required. Power supplied by the USB connection. 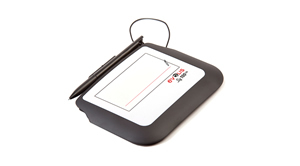 Evolis electronic capture signature pads digitize the signatures in high resolution and can also be used to record biometric data, such as writing speed and pressure, for forensic expertise. It is projected that in Australia over 100 million transactions will take place with electronic signature. Australian law allows for nearly all documents to be signed electronically. Here is a link to the Electronic Signatures in Australia whitepaper. Thanks to signature pads, people can capture and digitize in a few seconds handwritten signatures in high quality, and for a large variety of applications: ID documents, document signing and validation, even when travelling. This reduces the amount of paper used, optimise processes and improves your company's brand image. Robust & scratch resistant surface. Capture of the signature as an image and insert it as graphic at cursor position in any Windows Program. Capture and save of the signature as an image in the system or clipboard. Installs Ribbons in the menu bar in MS-Word and MS-Excel from version 2007. With signoSign/2 software, create and sign a PDF instantly and securely. Available for 32-bit or 64-bit version of Windows, try this software during 30 days for free. Sig100 and Sig200 signature pads have a large surface with a unique finish for natural signing sensation. You can buy the Sig pads here. 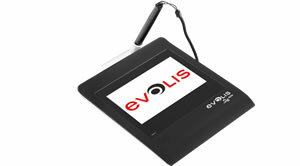 Supplied with single license of Signosign software to capture your signature. Buy Sig100 USB Signature Pad. Buy Sig200 USB Signature Pad. Buy Sig100 Lite USB Signature Pad. Buy Sig Activ USB Signature Pad.